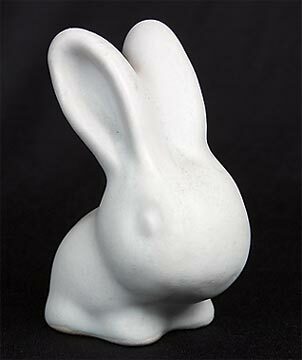 Denby rabbit - 3.37" (85 mm) high. Marmaduke - the name given to all Denby rabbits. First appeared in 1928/29 and made in various sizes. Production ceased shortly after the end of the second world war.